Cabinet Committee of Union Govt. has approved Pradhan Mantri Annadata Aay Sanrakshan Abhiyan (PM AASHA) Umbrella Scheme for farmers. PM AASHA Scheme includes Price Support Scheme (PSS), Price Deficiency Payment Scheme (PDPS) and Pilot of Private Procurement and Stocklist Scheme (PPSS). PM Aasha is another pro-farmer initiative which aims to ensure MSP for agricultural produce and compensate losses of farmers. Pradhan Mantri Annadata Aay Sanrakshan Abhiyan is expected to provide benefits to the farmers for a long period of time. Central govt. focuses on increasing the annual income of the farmers and to realize the dream of “Doubling Farmers Income by 2022”. Earlier, central govt. has raised the MSP of all major crops to 1.5 times the previous cost. This crop procurement scheme is a historic step towards ensuring that overall income of farmers gets increased as mentioned in Union Budget 2018-19. Price Support Scheme (PSS) – Central Nodal Agencies along with State govt. will make physical procurement of pulses, oilseeds and copra. Govt. will bear procurement expenditure and losses caused due to procurement upto 25% of total production. Price Deficiency Payment Scheme (PDPS) – All oilseeds for which MSP has been notified would get covered under PDPS. Farmers will be able to get direct payment of difference between MSP and Selling Price. Pilot of Private Procurement and Stocklist Scheme (PPSS) – This scheme will involve participation of private sectors in procurement operation to be piloted. In case of oilseeds, states have a choice to roll out PM AASHA Scheme on a pilot basis in certain selected districts. 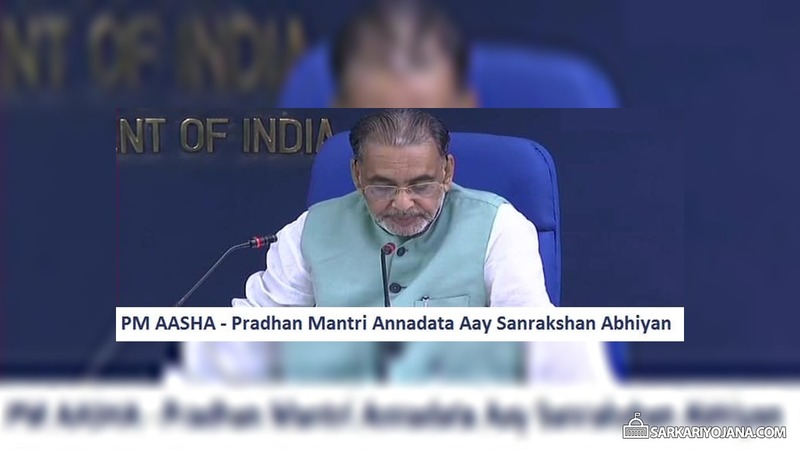 While addressing a press conference, Union Agriculture Minister Radha Mohan Singh said that PM-AASHA scheme is an unprecedented step towards Doubling Farmers’ Income. It is a major boost to pro-farmer initiative by the government. Already existing schemes of Department of Food and Public Distribution (DFPD) for procurement of paddy, wheat and nutri-cereals / coarse grains and of Ministry of Textile for cotton and jute will be continued. These crop procurement schemes of various departments will continue to providing MSP to farmers for these crops. Central and state govt. will continue to physically procure crops under Price Support Scheme (PSS). All notified oilseeds whose MSP has been fixed by the govt. would be covered under PDPS. In case there is a difference between MSP and Selling Price, then farmers would receive the price difference. Pilot phase of participation of private sector in procurement will be started. This pilot launch will help in understanding the benefits of private sector in crop procurement. So, govt. has launched Private Procurement Stockist Scheme (PPSS) on pilot basis in selected district / APMC(s) of district. It is similar to PSS, but here the commodities are purchased by private companies instead of public sector undertakings. In Pilot Districts, PPSS will substitute PSS, PDPS. Selected private agency shall procure commodities at MSP in notified markets in notified period from registered farmers as per PPSS guidelines.